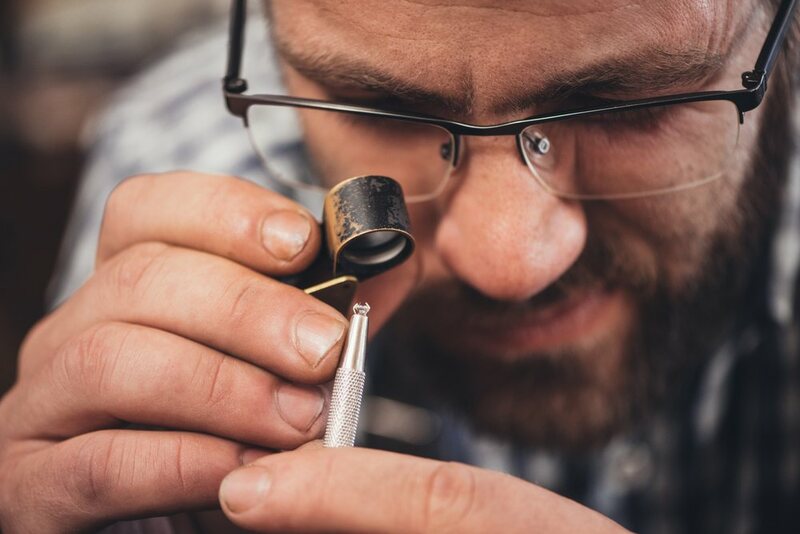 When evaluating diamond clarity, we look at the natural imperfections in the diamond. When these imperfections are inside the diamond, they are known as inclusions, and when they are found on the surface of the diamond, they are known as blemishes. Some imperfections are invisible to the naked eye and can hardly be seen even when the diamond is placed under 10x magnification. But other imperfections can be spotted without the help of magnification. Each stone is given a clarity grade to help customers understand the impact of these imperfections on the appearance of the diamond. Higher grades mean fewer and less visible imperfections. Which clarity grade is ideal? The best diamond clarity grades, of course, are “flawless” and “internally flawless.” Diamonds with these grades, however, are very rare, so there is a steep price jump from the “slightly included” diamonds to these flawless diamonds. Therefore, first consider your budget. Then, look at the carat weight of the diamond. Here we compare clarity in diamonds of different sizes so you know the ideal clarity grade for diamonds of a certain size. It is very difficult to see imperfections in a diamond that is under one carat, so clarity should not be a priority for these stones. If you’re buying a diamond that is under one carat, look for a clarity grade of SI2, which is a “slightly included” grade. SI2 diamonds do have inclusions that are visible to the naked eye, but these inclusions are typically not noticeable in diamonds of this size. If you were to go higher on the clarity scale, you may end up spending more money for a higher quality diamond without being able to see a difference in the appearance. The larger a diamond is, the easier it is to spot imperfections, so you will need to go a little bit higher on the clarity scale if you plan on purchasing a one-carat diamond. We recommend that you stick to at least a”slightly included” SI1 stone, whose flaws are more hidden than an SI2 grade stone. SI1 and higher grade diamonds do have flaws, but they are invisible to the naked eye. Choosing an SI1 grade diamond allows you to prioritize the color and cut grades, which will mean a more beautiful, brilliant diamond. At this size, differences in diamond clarity will be much more noticeable. The lowest clarity grade you should consider for a diamond that is between one and two carats is SI1. 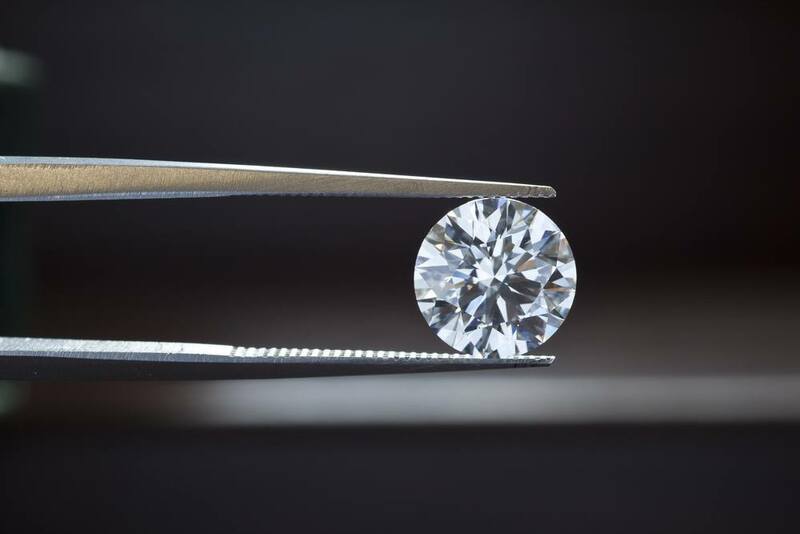 If you go below an SI1 in a diamond of this size, the imperfections will be clearly visible. Ideally, you should upgrade to a diamond with a VS2 grade or higher. 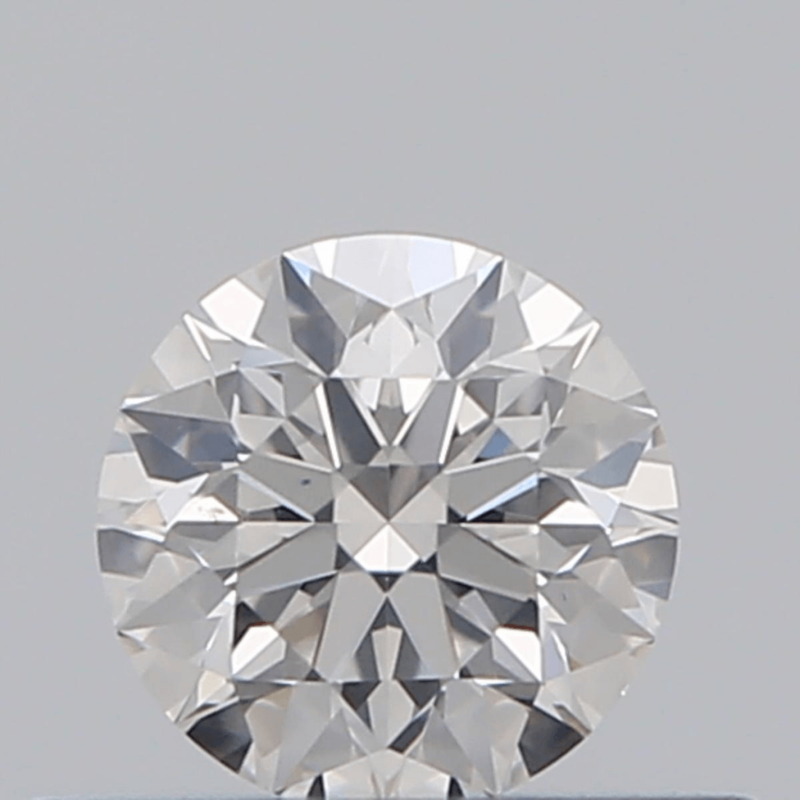 If you do not want any visible inclusions in your diamond, choose a clarity grade of at least VS1. VS1 diamonds have inclusions, but the inclusions are small and invisible unless the diamond is examined under 10x magnification. To the naked eye, a VS1 diamond appears flawless and is a fraction of the price of a truly flawless diamond. Use this as a guide the next time you purchase a diamond. But remember, in the end, your taste matters most!